Oral cancer affects more than 40,000 people in the United States, according to a recent study by the American Cancer Society. 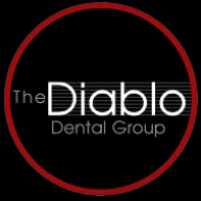 The team at The Diablo Dental Group, located in Danville, California, is committed to prevention and early diagnosis of oral cancers. Oral cancer screenings are an important part of every dental checkup in order to help protect you against this potentially life-threatening disease. For your dental exam and oral cancer screening, call or schedule an appointment online. Those at highest risk for having oral cancer are men over 50 years old, smokers, chewing and smokeless tobacco users, and those with a family history of cancer. Excessive alcohol consumption and unprotected sun exposure can also predispose you to oral cancers. Your dentist is an important tool for protecting you from this dangerous condition, as they see the inside of your mouth more than any other member of your health care team. By offering regular oral cancer screenings, they help with early detection and initiation of treatment when needed. What are signs of oral cancer? Early detection is your best tool for preventing the spread and long-term impacts of oral cancer. Your dental team at The Diablo Dental Group can help. Why are regular oral cancer screenings important? Oral cancer is often difficult to detect. It may not be found until it’s advanced, making it more difficult to treat. Oral cancer is potentially life-threatening, but in its early stages it’s painless and symptoms may not be obvious. Regular dental screenings at The Diablo Dental Group include an oral cancer screening. With trained eyes, your oral cancer can be detected early and your treatment has a better chance of being effective. Their team utilizes a specialized tool called the VELscope® to visualize oral cancers in the earliest stages. This valuable instrument utilizes light to see early cancer that would not otherwise be visible to the naked eye. For an expert oral cancer screening, call or schedule an appointment online with The Diablo Dental Group today.